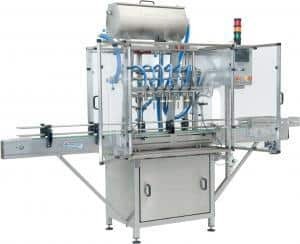 The Kreuzmayr fully automatic inline bottle filler is designed using filler necks with adjustable height, in order to fill different sized bottles. Exact measuring by a flow sensor means that you achieve high accuracy when filling. With this machine we have set a milestone in the range of filling assemblies. The filling of bottles works either with gravity or a pump. It is available with 6 or 8 filling heads. 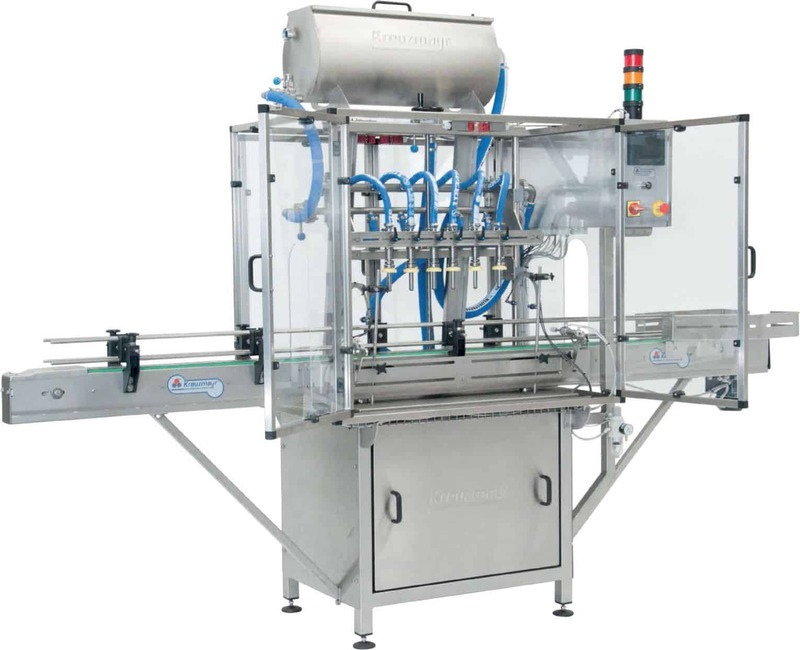 The bottling units are designed for operation by a single individual. With the user-friendly touch display, you can adjust the desired settings for the filling. The empty bottles are placed under the filler pipes via a conveyor belt. The filling valve opens and the liquid flows from the buffer tank into the bottles. When the set filling volume is reached, the filling valve closes and the flow is automatically stopped. The unit consists of a stable basic frame, completely closed, with removable stainless steel sheathing. It operates with automatic intake and individually adjustable filling volume. The controls are located on the attached control box, mounted to a swivel arm. A protective housing made of transparent Lexan with safety doors complies with all CE/CSA/UL requirements. Because of our policy continually improving Kreuzmayr products, technical data and specifications contained herewith are not to be regarded as binding, but as a generally correct representation of our products.